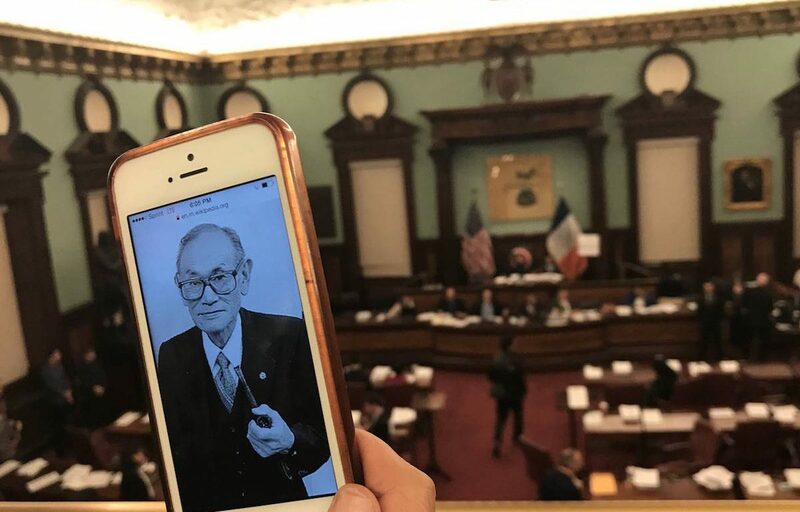 Tuesday, January 30 from 7:00 p.m. until 8:30 p.m.
New York City will celebrate its inaugural Fred T. Korematsu Day of Civil Liberties and the Constitution on Tuesday, January 30, which is the civil rights activist’s birthday. On December 19, 2017, the New York City Council unanimously passed Resolution 0792, establishing January 30 as a permanent annual observance. When then California Governor Arnold Schwarzenegger signed the legislative bill recognizing Fred T. Korematsu Day, it became the first statewide day in U.S. history named after an Asian American. Following California’s lead, three other states officially recognize the observance in perpetuity: Florida, Hawaii, and Virginia. Georgia, Illinois, Michigan, Pennsylvania, and Utah have all recognized Fred T. Korematsu Day by proclamation. 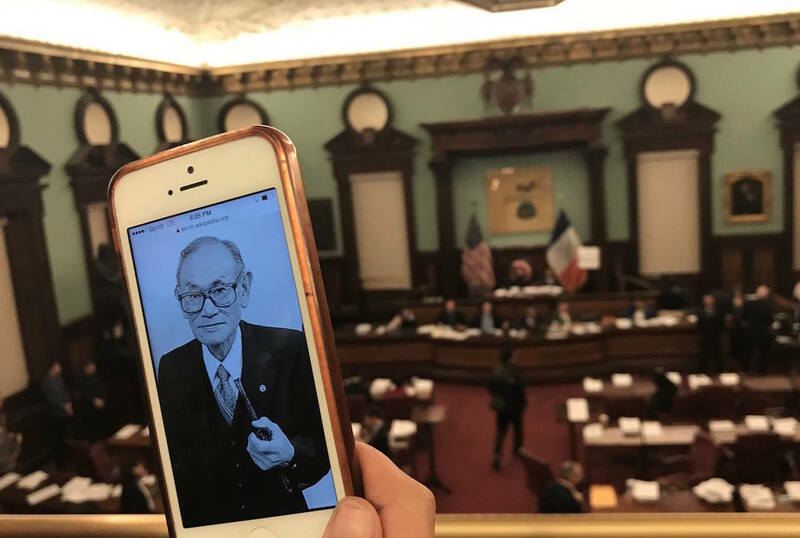 The moment the New York City Council passed legislation establishing Fred T. Korematsu Day of Civil Liberties and the Constitution on December 19, 2017. Photo by George Hirose. In 1983, with new evidence, Korematsu’s 40-year-old case was reopened on the basis of government misconduct. On November 10, 1983, Korematsu’s conviction was overturned in a federal court in San Francisco, a pivotal moment in civil rights history. Korematsu remained an activist throughout his life. In 1998, he received the Presidential Medal of Freedom, the nation’s highest civilian honor, from President Bill Clinton. Attending the inaugural NYC program and speaking will be Karen Korematsu, Fred’s daughter and head of the Korematsu Institute; NYC Councilmember Danny Dromm, who sponsored the legislation that passed last December; and the ASAP Youth of Coalition for Asian American Children and Families. Civil rights lawyer Rocky Chin will moderate a panel on civil liberties with Dr. Debbie Almontaser, President of Muslim Community Network; Julie Azuma, founding member of NY Day of Remembrance Committee and Vice President of the Japanese American Association of New York; Albert Cahn, Legal Director, Council on American-Islamic Relations; and Councilmember Dromm. For more information, please reference NY Day of Remembrance’s Facebook page.